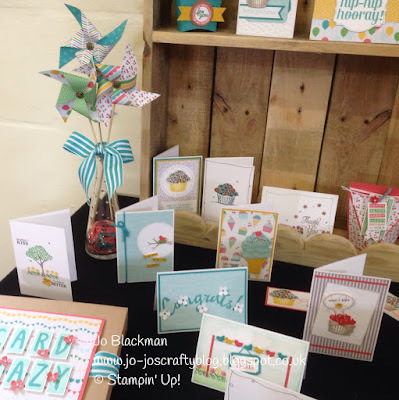 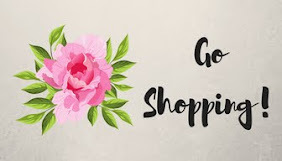 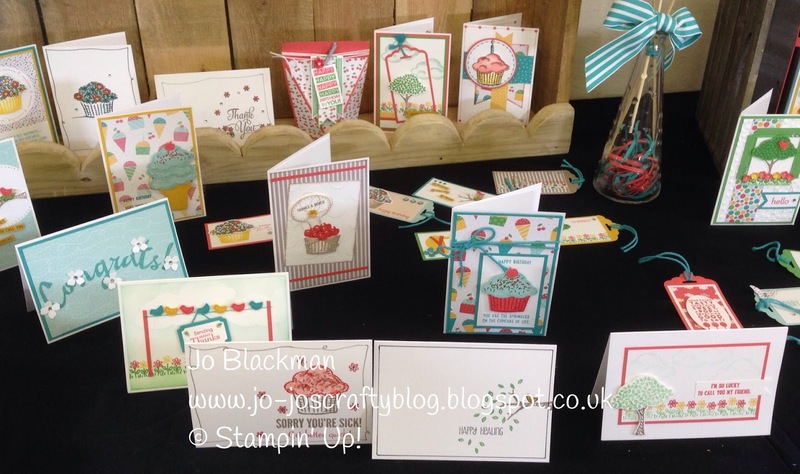 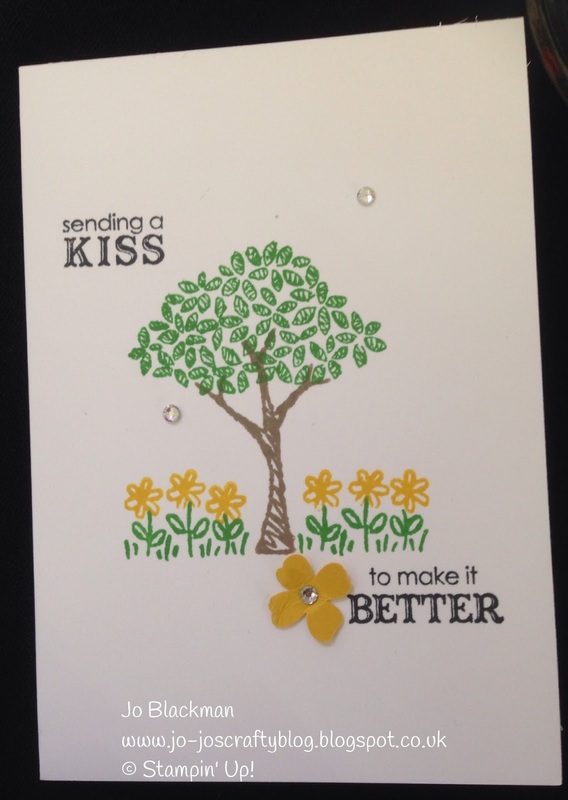 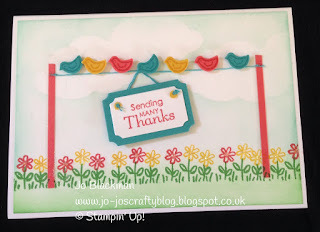 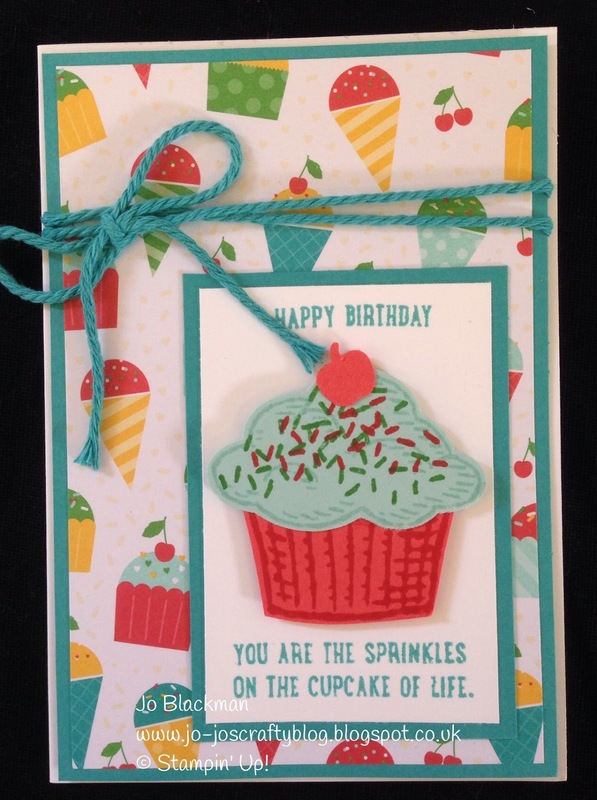 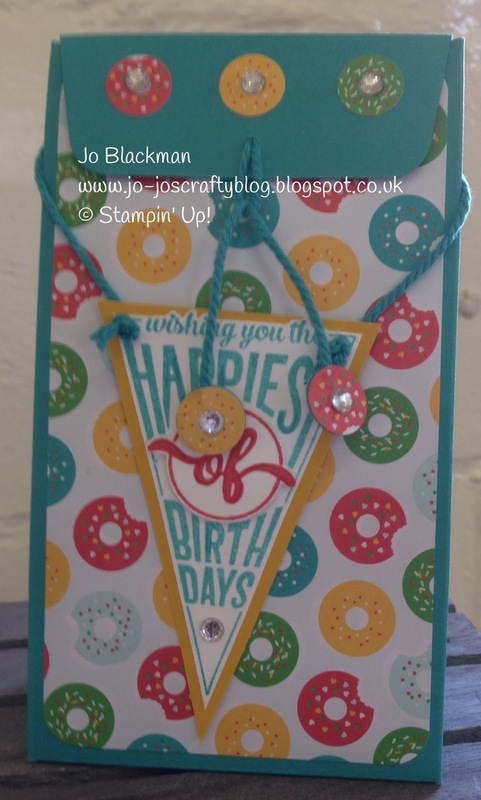 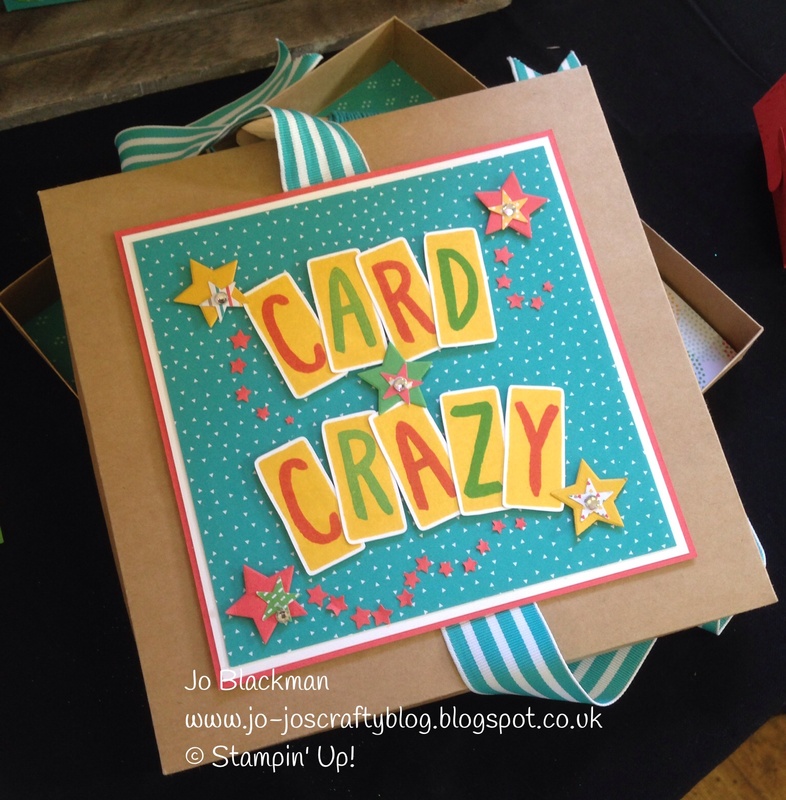 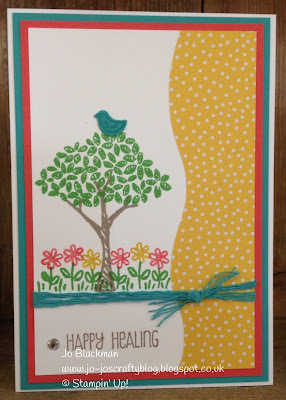 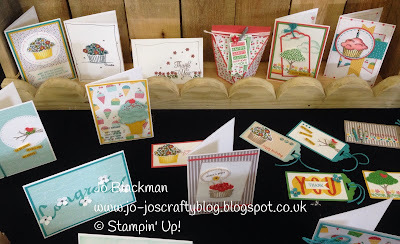 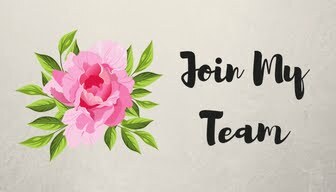 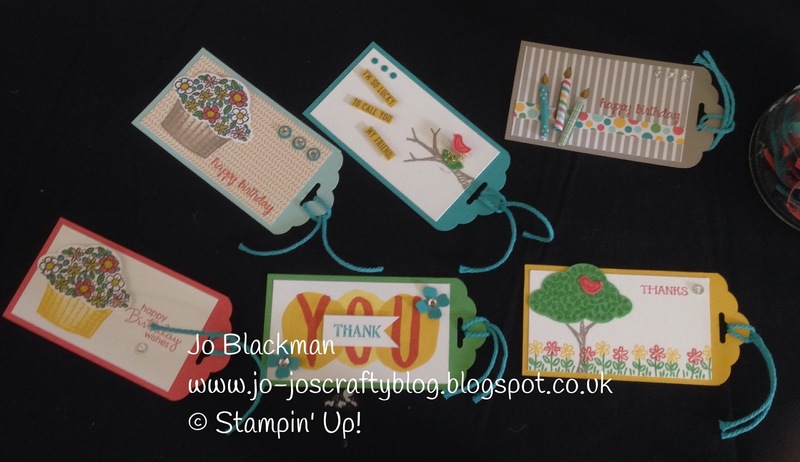 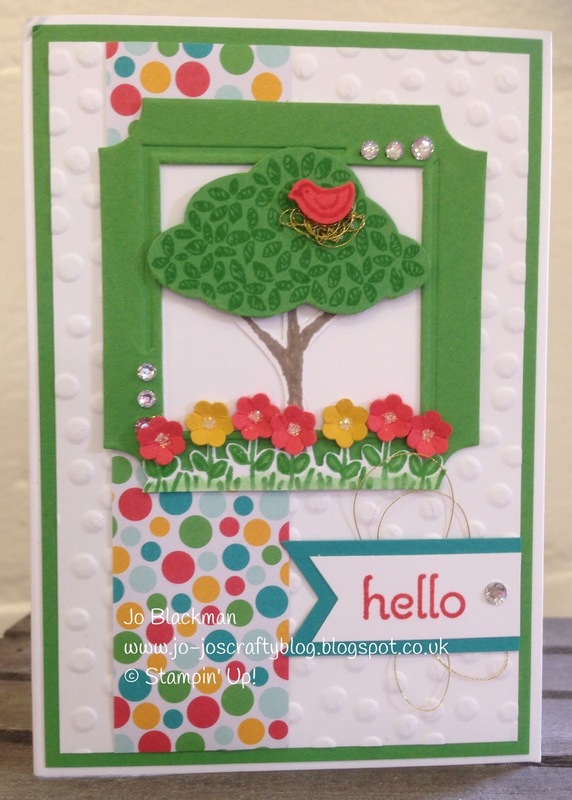 It was our quarterly Stampin' Sanctuary this weekend and fellow demonstrator Laura and I had a fabulous weekend with lots of lovely ladies making a card/gift card box and a whole load of cards based around the lovely Sprinkles of Life stamp set. 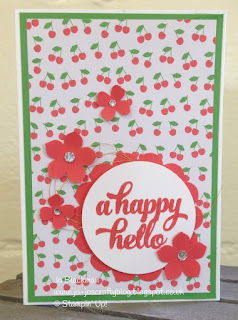 We both love this set and it goes perfectly with the Cherry on Top DSP and of course it is the charity set for this year which makes it even better. 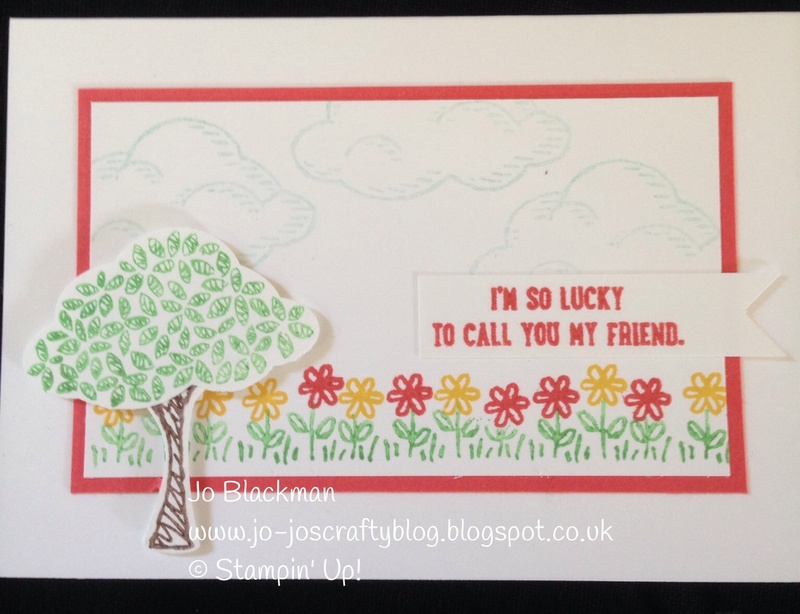 I told you there were lots of them, I hope you enjoyed them and we have managed to inspire you to purchase this lovely stamp set and help raise funds for the Ronald McDonald charity. 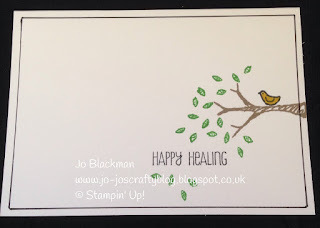 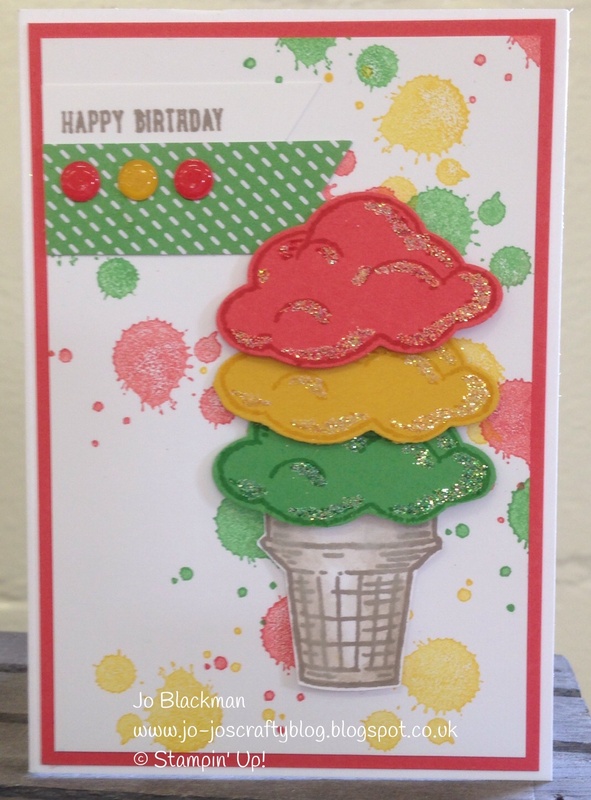 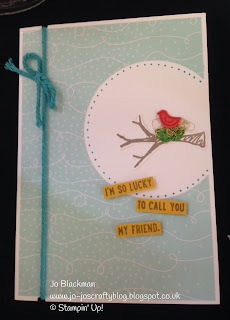 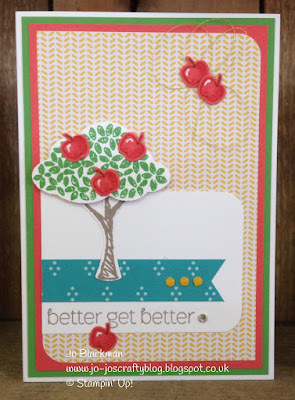 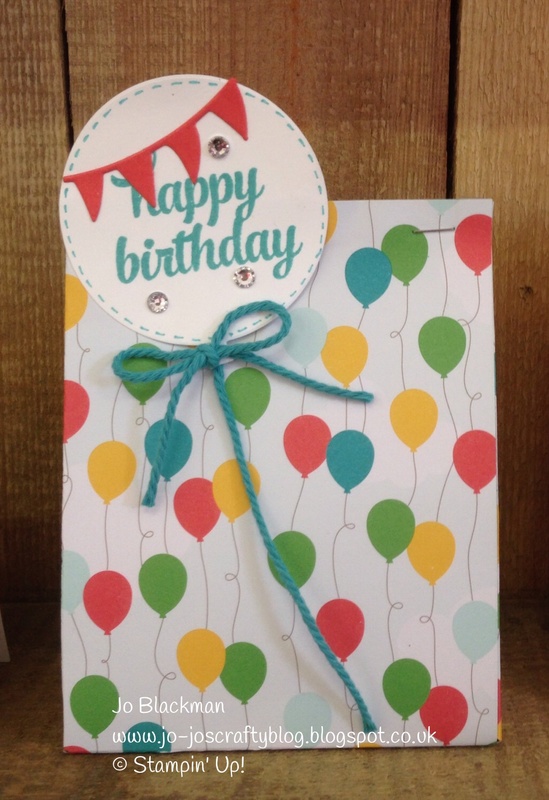 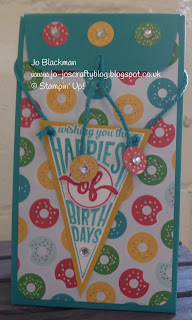 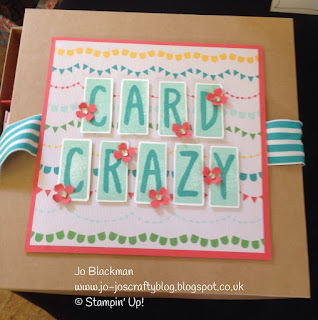 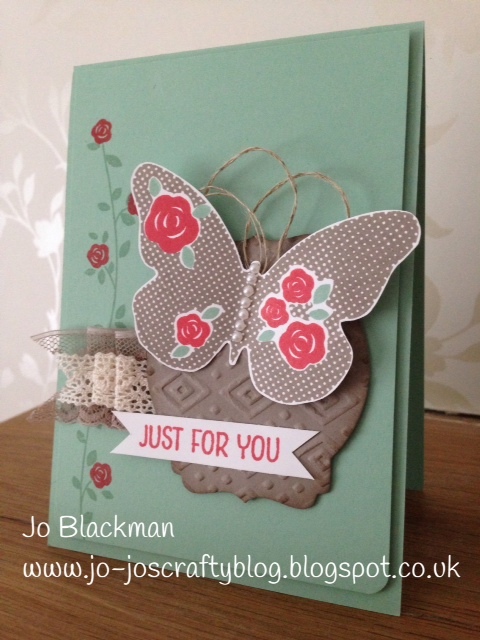 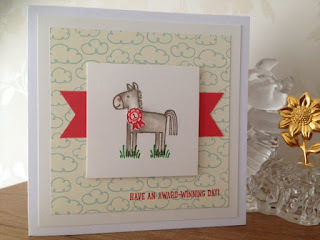 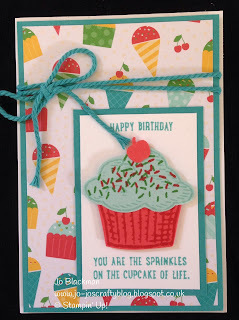 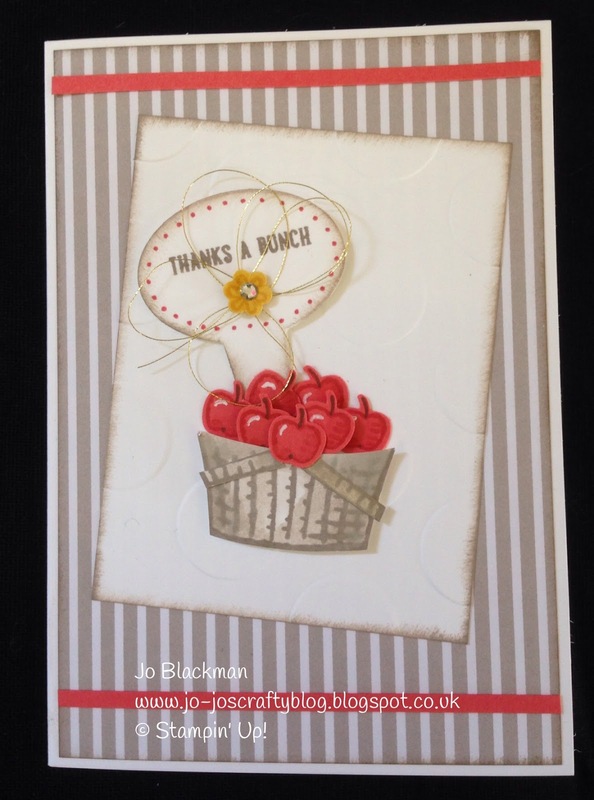 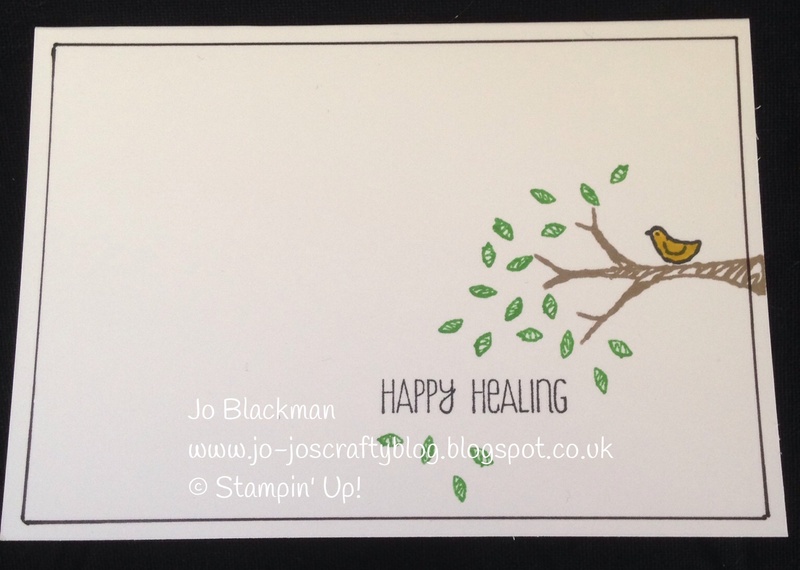 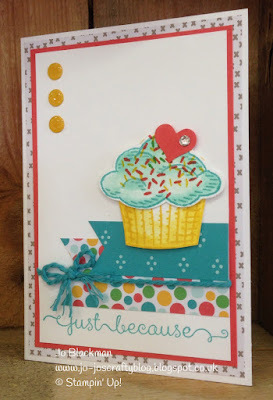 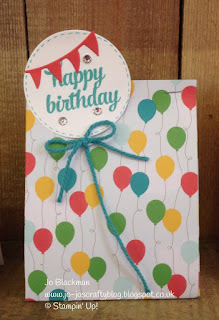 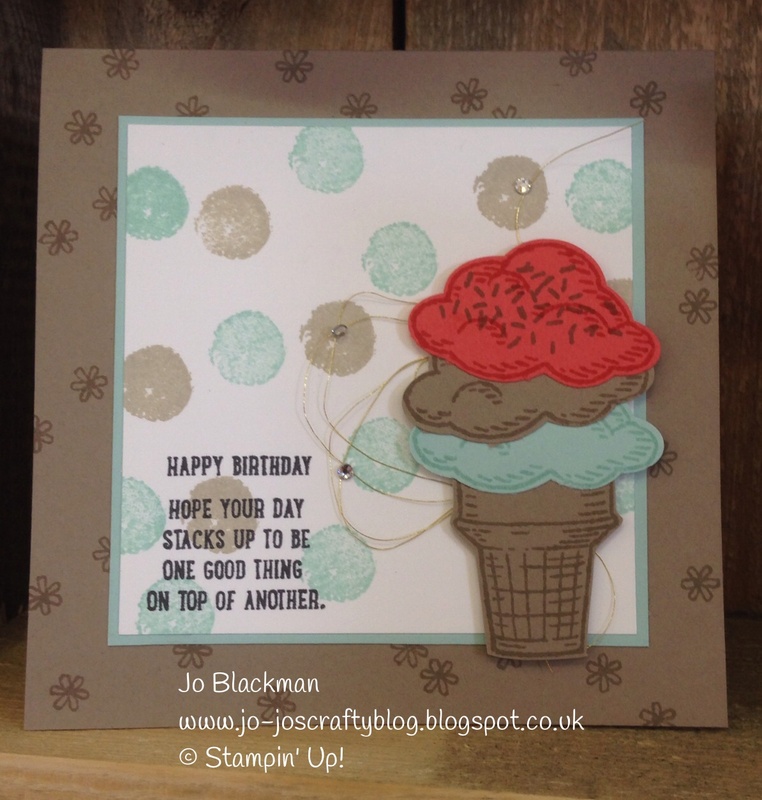 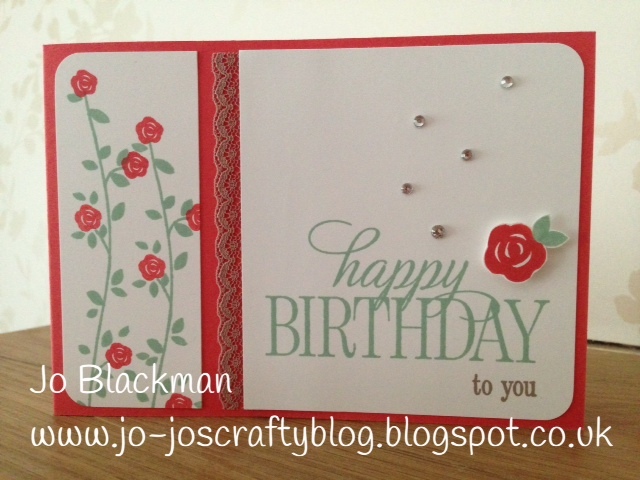 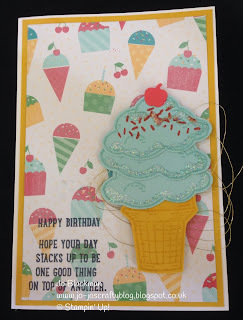 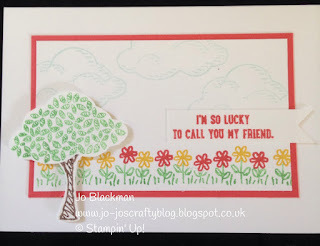 The challenge is to create a card with your favourite stamps, ink and paper. 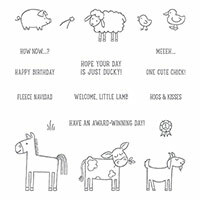 That in itself is quite difficult as I have so many but today I am sharing a little card I made using the new Barnyard Babies stamp set from Stampin' Up!, these are just way too cute and the papers that match this set are so gorgeous I am going to have to order another pack just for stroking purposes lol!!! 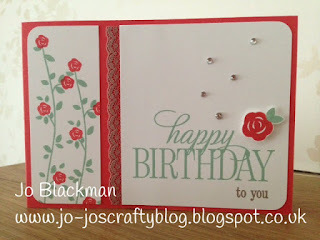 I hope you like it and don't forget to pop over and look at all the other lovely entries to this challenge, here. 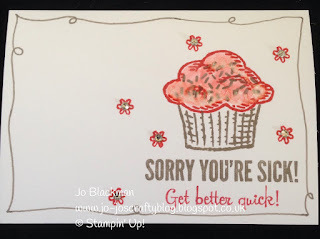 I think you may be seeing a lot more of this stamp set! 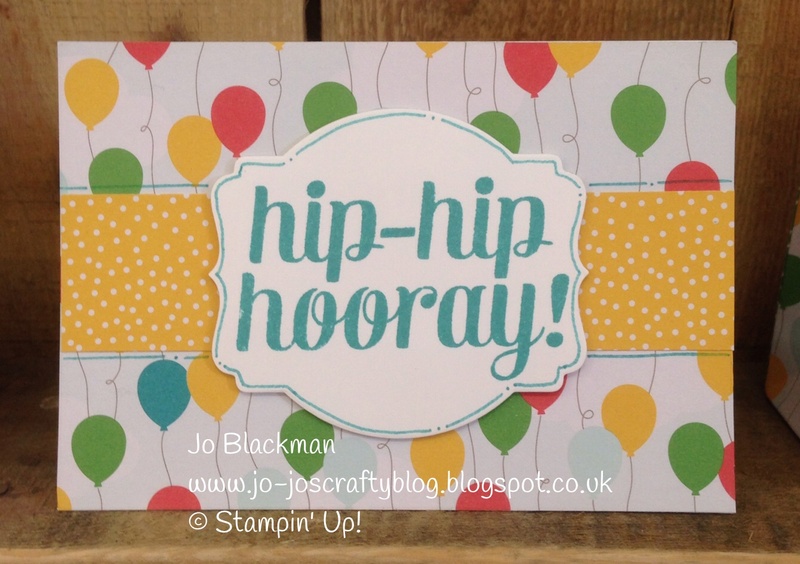 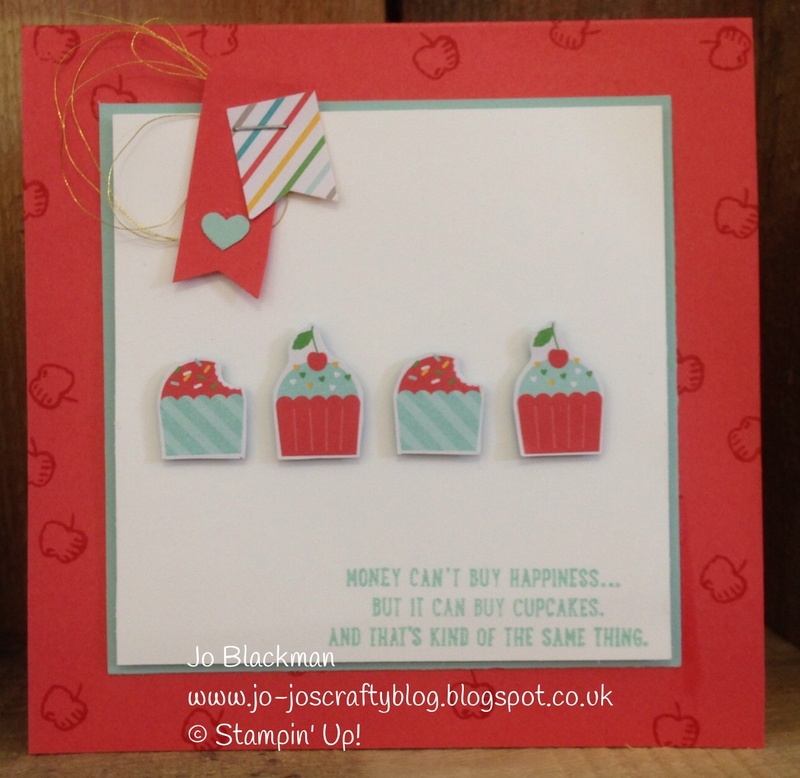 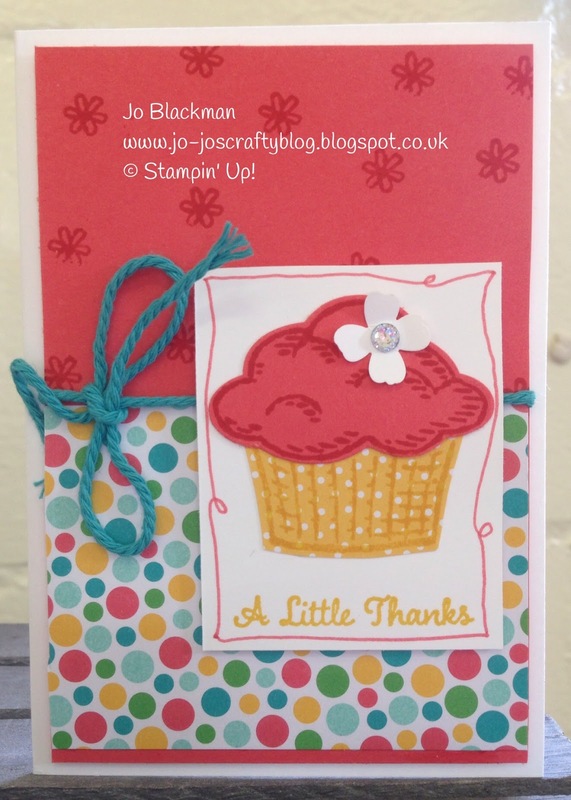 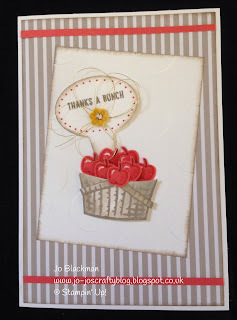 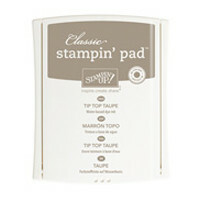 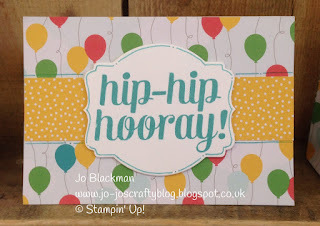 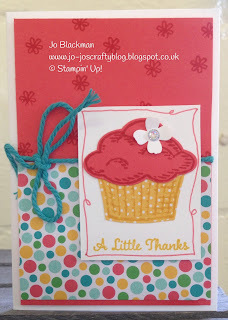 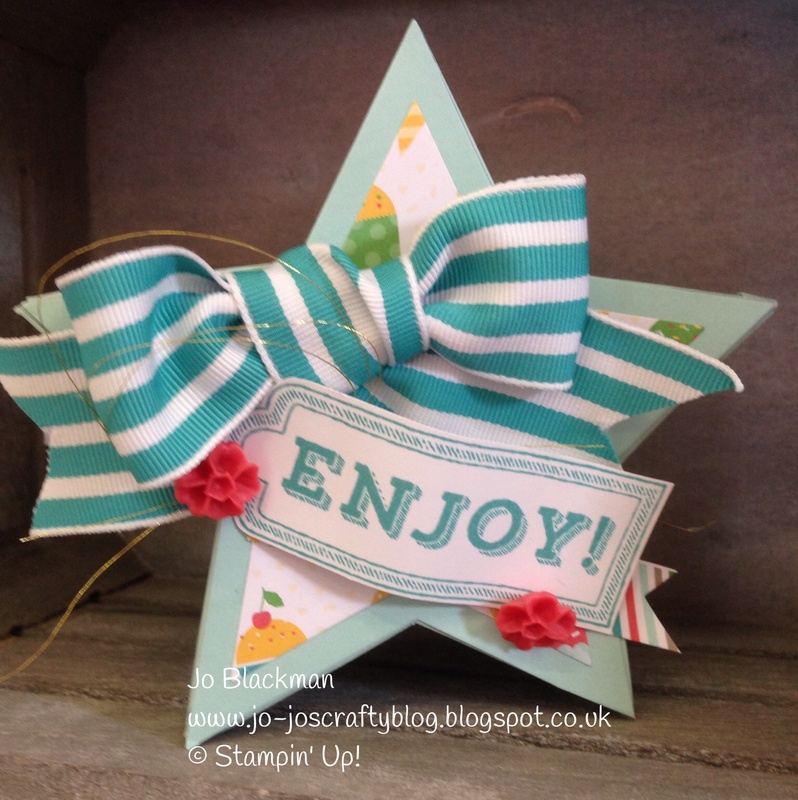 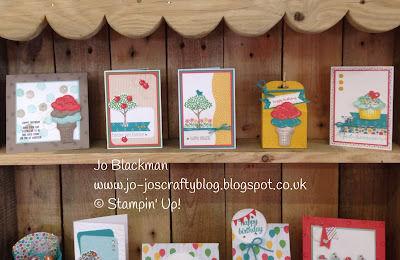 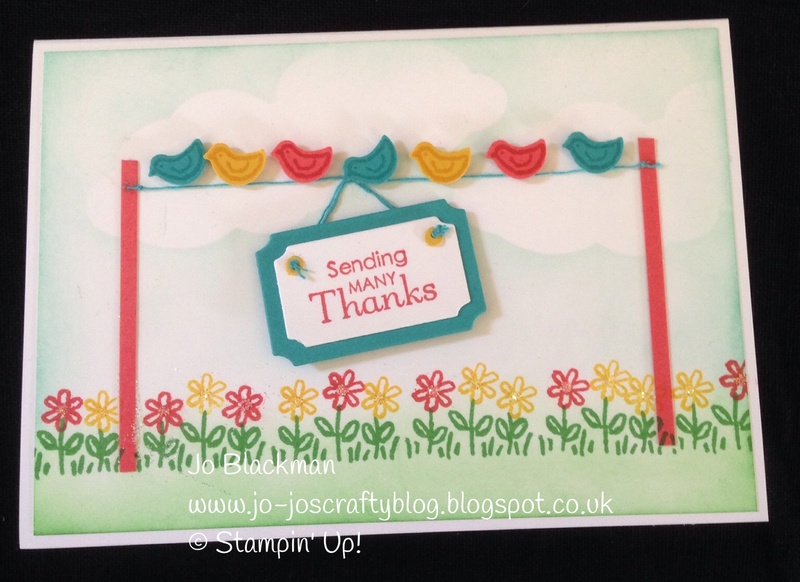 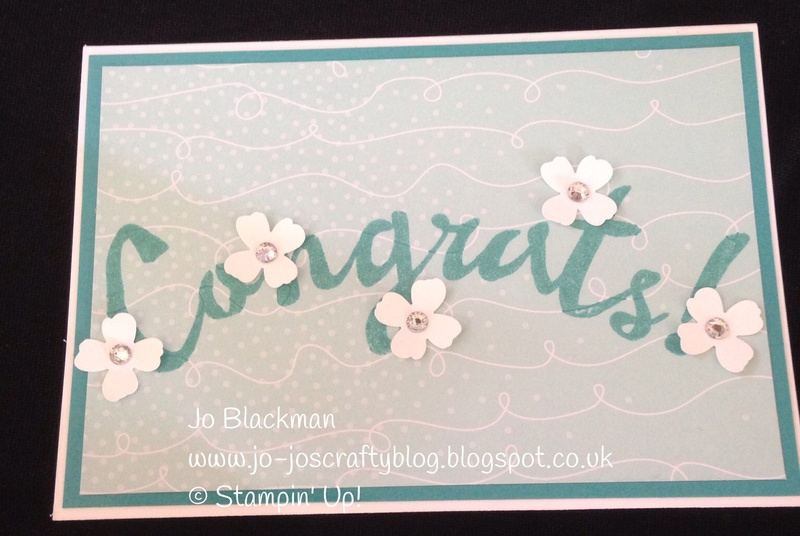 Today sees the launch of the long awaited new Stampin' Up! Annual Catalogue for 2015-2016 so a few of us have teamed together to take part in a little blog hop. 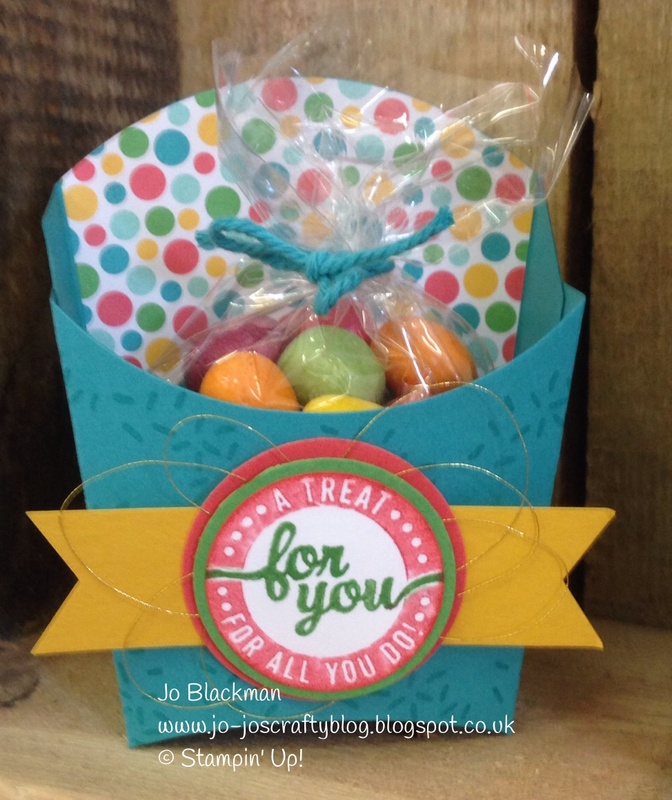 We are each sharing with you some projects made with a mixture of new products or products which are staying with us for another year. 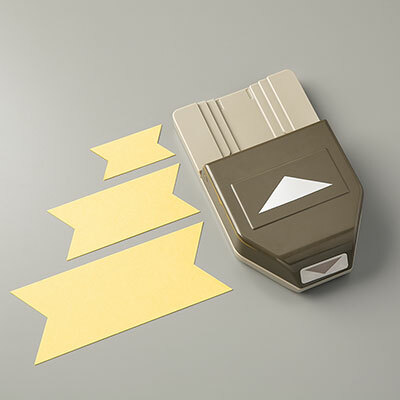 You can link backwards and forwards through the participants. 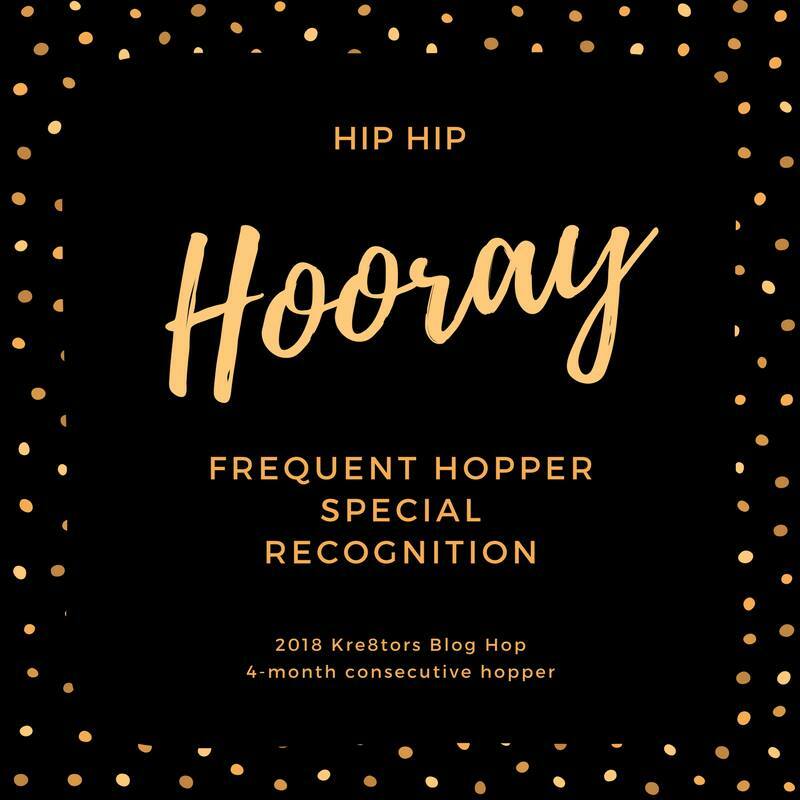 Happy hopping! Here are a few bits I have made with some new products. This is the ever popular self-closing box which is doing the rounds at the moment, there are loads of tutorials on the web! 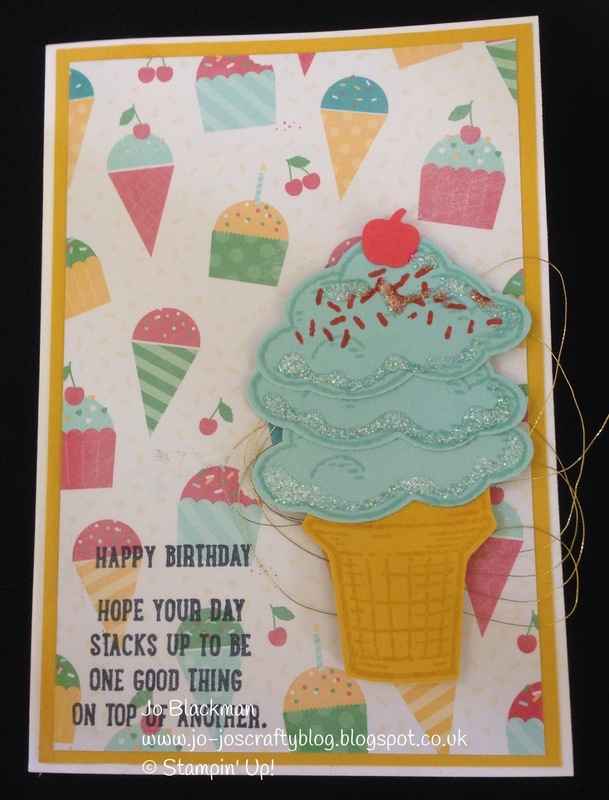 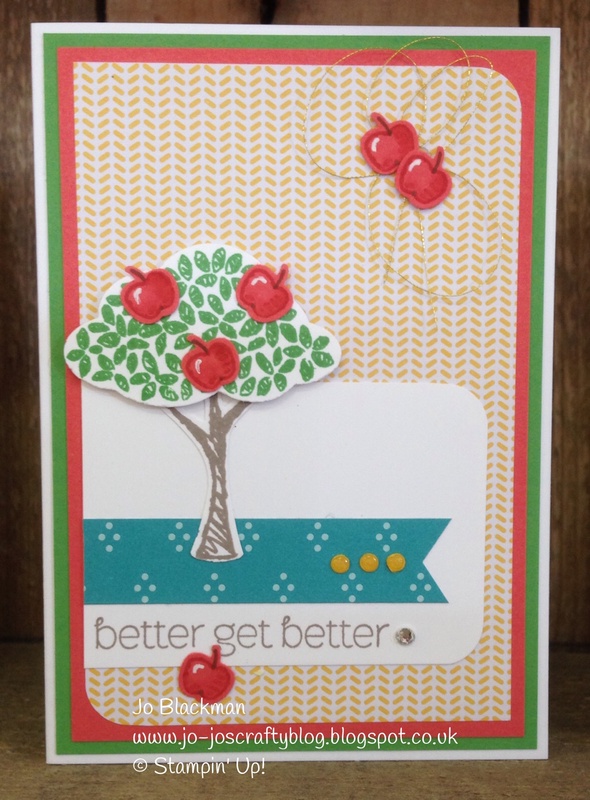 This uses one of the new in-colors, Watermelon Wonder together with designer series paper taken from the Cherry on Top Paper Stack. 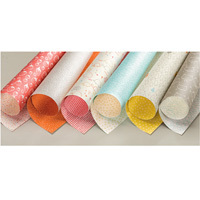 The little flower is an embellishment available in the new In-Colors. This card is made using the new In-Color, Mint Macaron, swiftly becoming a firm favourite of mine together with Tip Top Taupe, they look gorgeous together. The butterfly is taken from a new hostess set called Floral Wings. 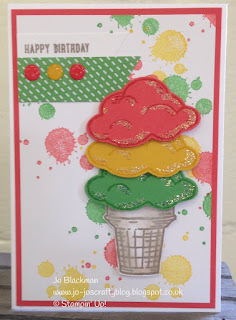 This card is made using the same colours as the card above. 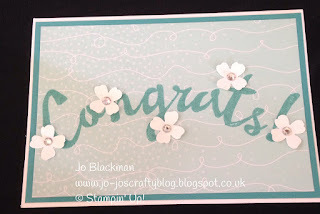 For this card I have coloured the flower paper taken from the Neutrals Designer Series Paper Stack and used a new stamp set called Layered Letters Alphabet. 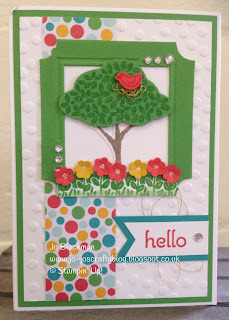 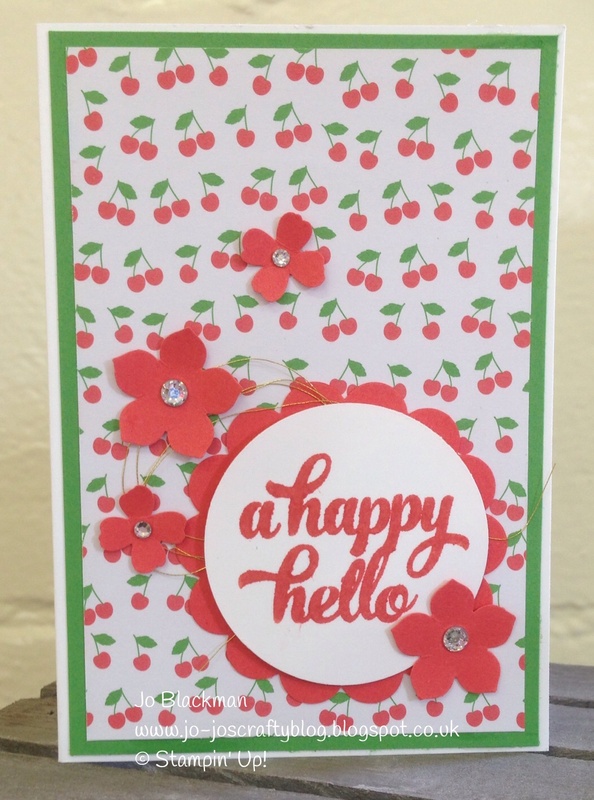 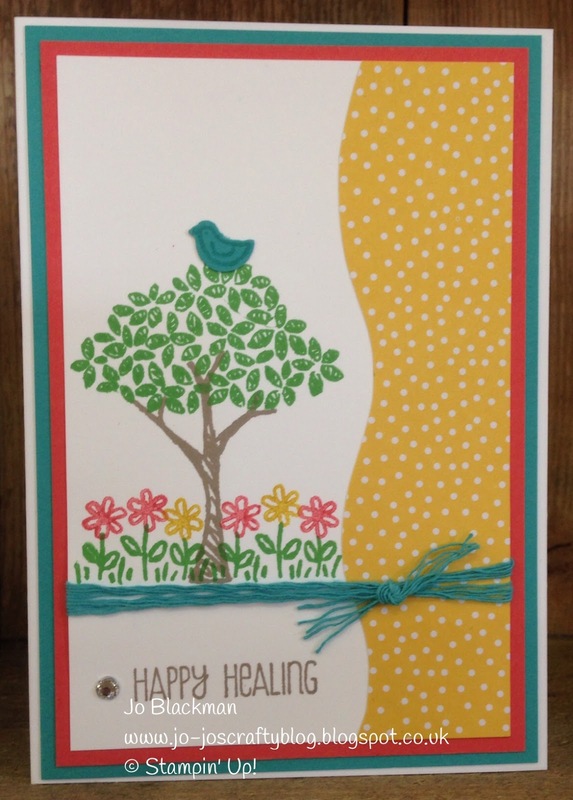 This card uses Watermelon Wonder and the flower vine is taken from the Floral Wings stamp set referred to above. 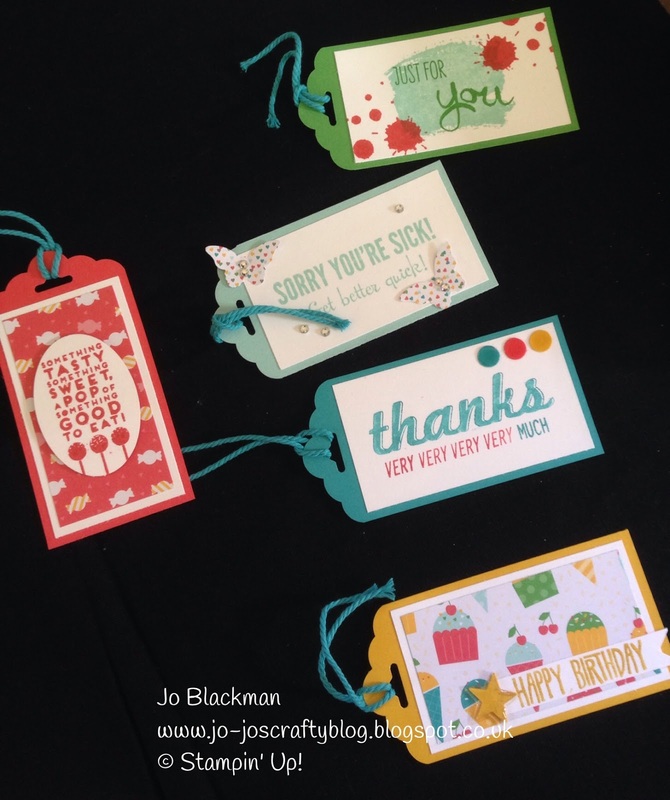 The greeting is taken from another hostess set called Happy Birthday Everyone. 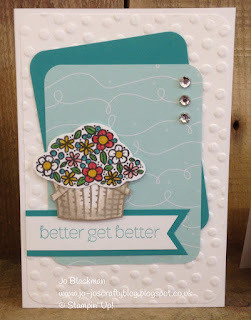 You can also just see a hint of the new Dotty Lace Trim which is available in the new In-Colors. 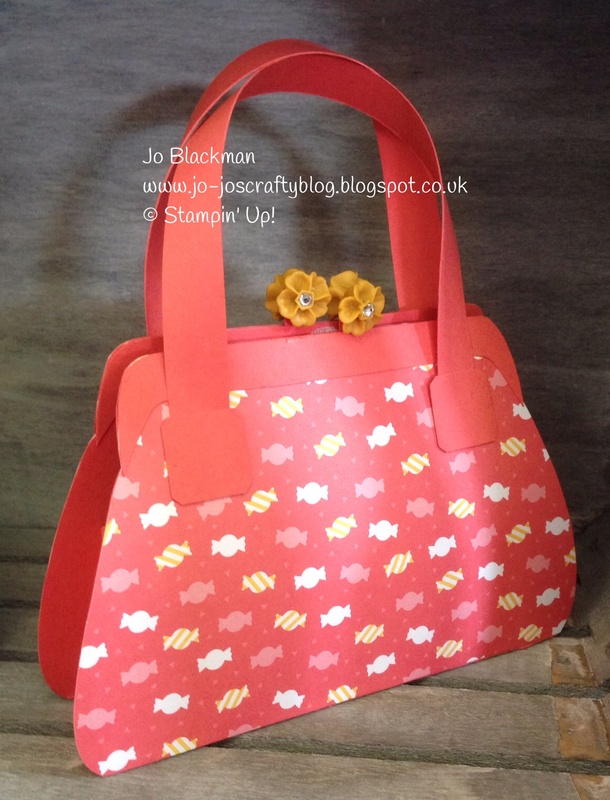 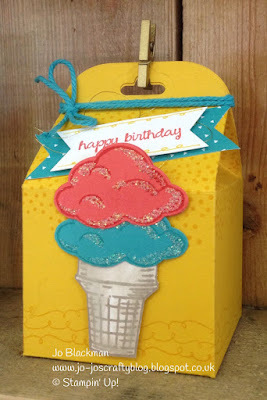 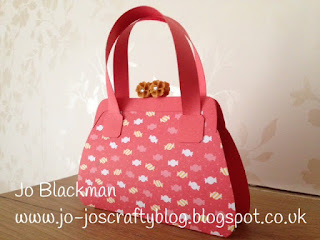 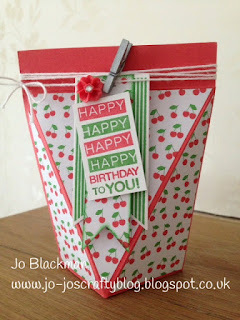 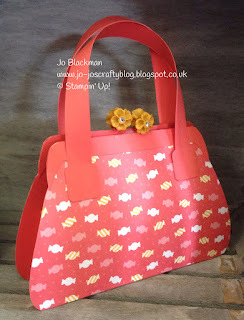 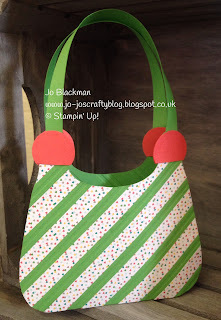 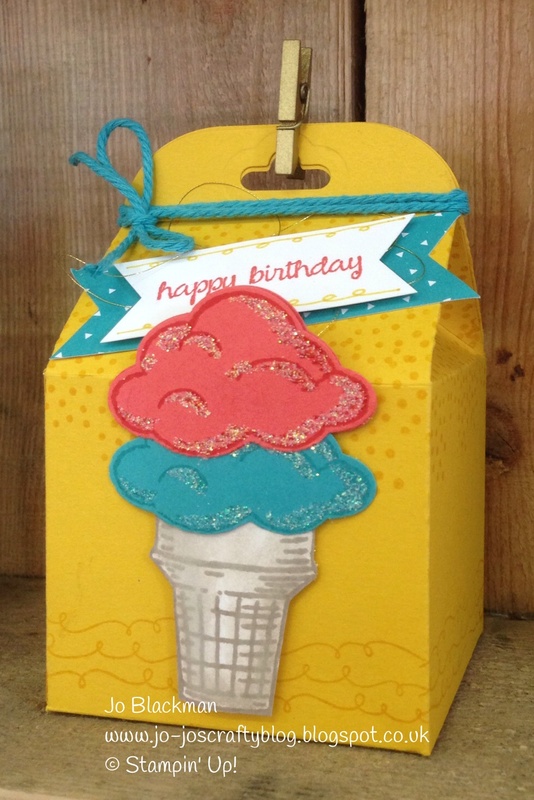 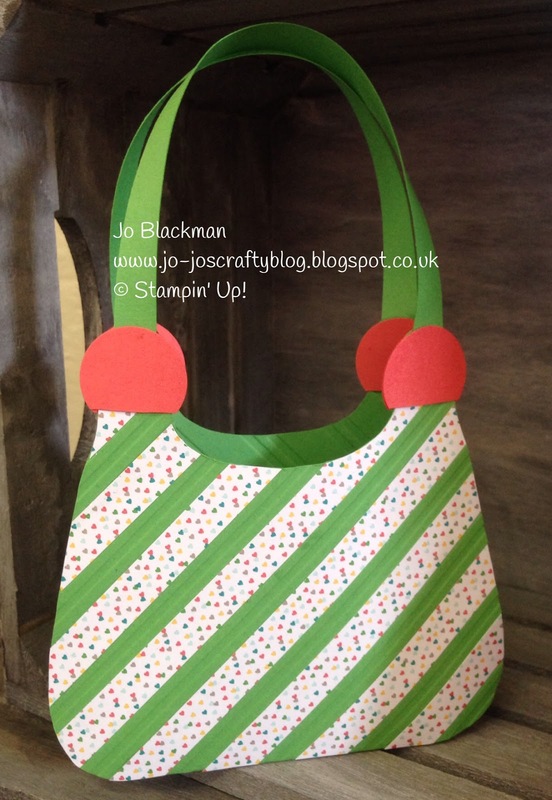 Finally, this is a little gift bag made using Watermelon Wonder and the Cherry on Top Designer Series Paper Stack. 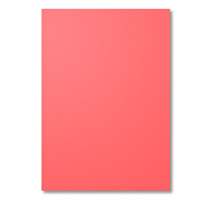 I got the template from here. 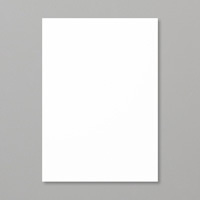 You can now hop backwards to Christa or forward to Sue, have fun!